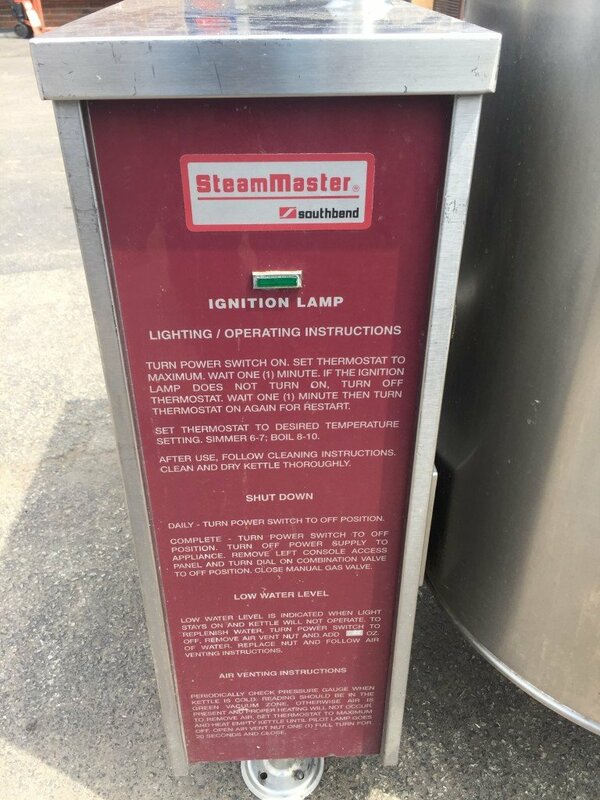 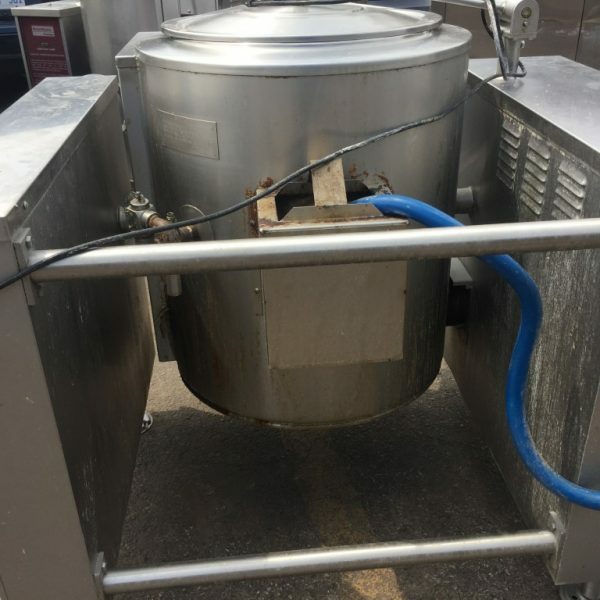 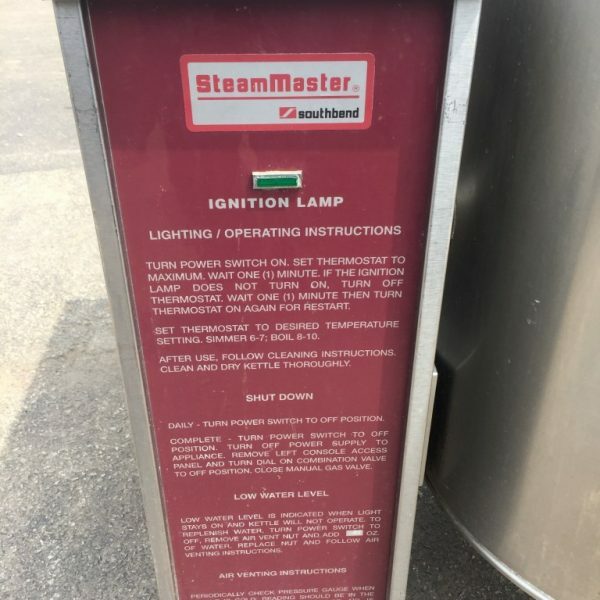 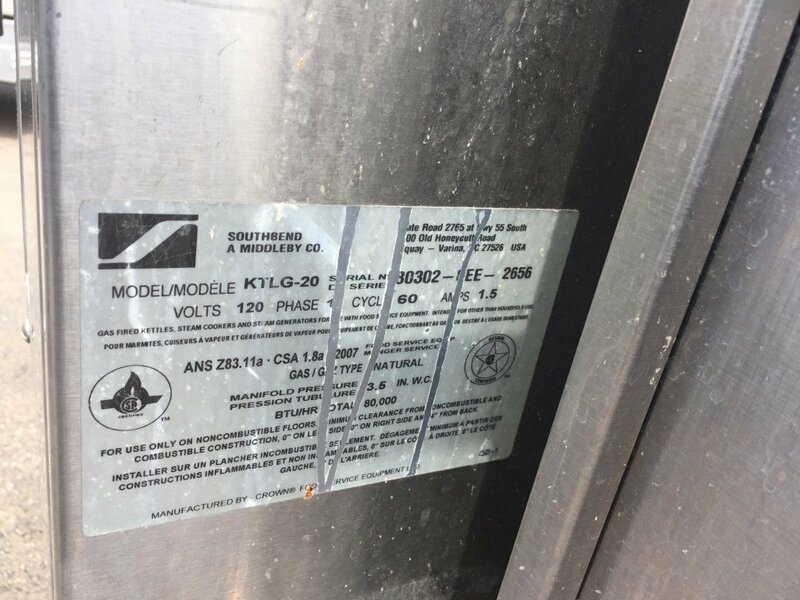 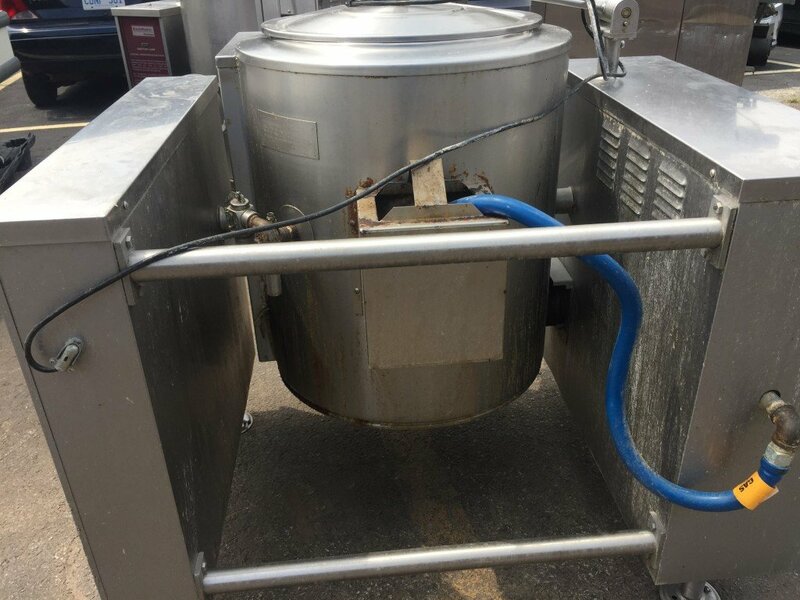 A gas-powered steam kettle is a time and money saving investment for any foodservice operation, especially if it includes a helpful tilting mechanism. 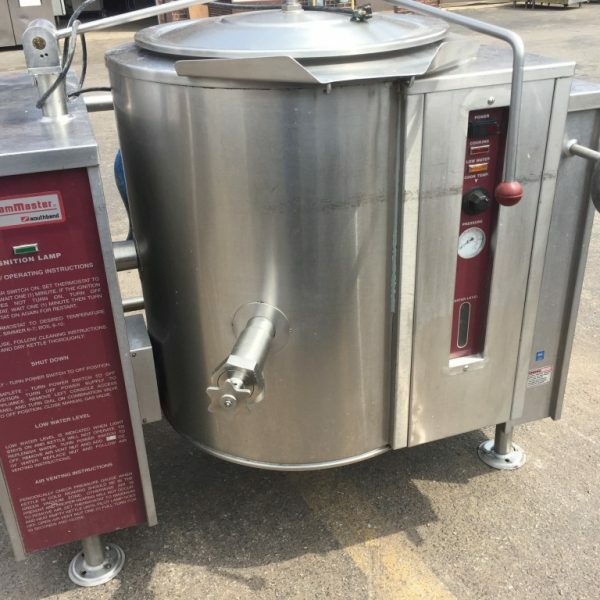 The 20 gal Tilting Gas Steam Kettle (KTLG-20) from Southbend is a durable stainless steel steam kettle featuring a 2/3 jacketed kettle and hinged stainless cover. 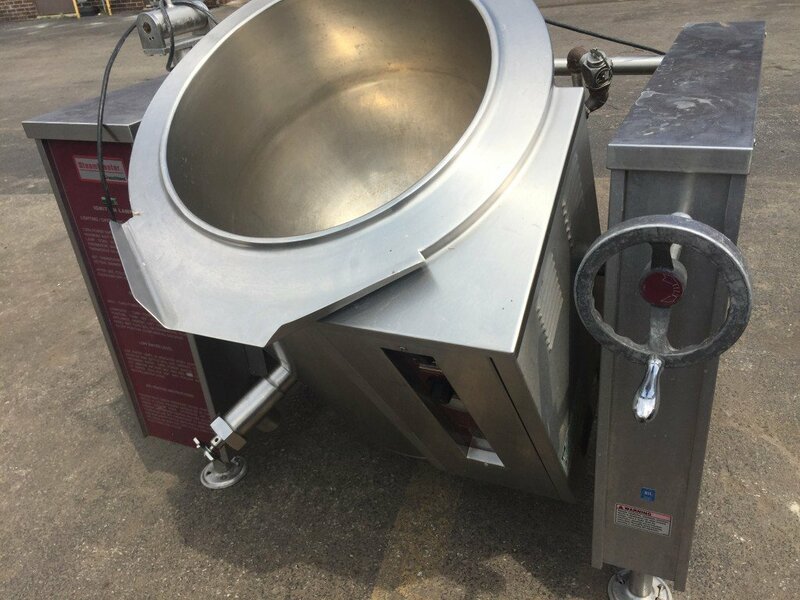 The interior of this model is constructed from one-piece, welded stainless steel with a two-inch tangent draw-off valve. 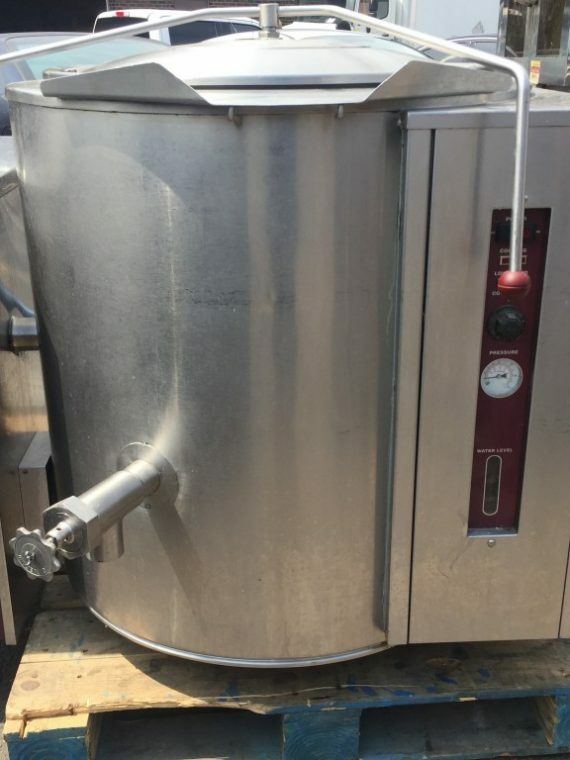 Standard controls on this steam kettle include a low water indicator light, direct immersion thermometer, pressure gauge, cooking light and a water sight glass. 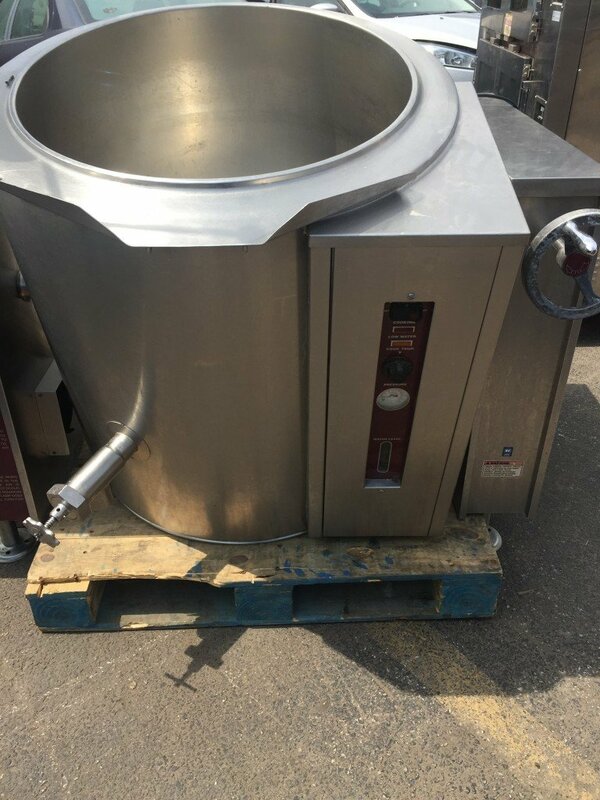 Constructed from exceptionally durable 304 stainless steel. 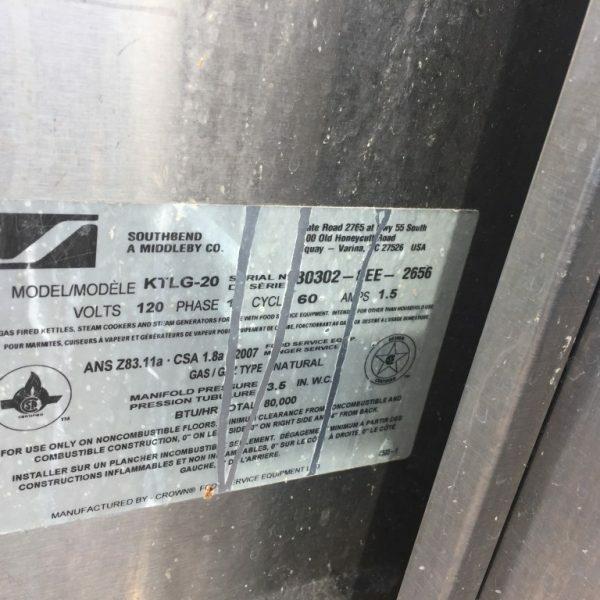 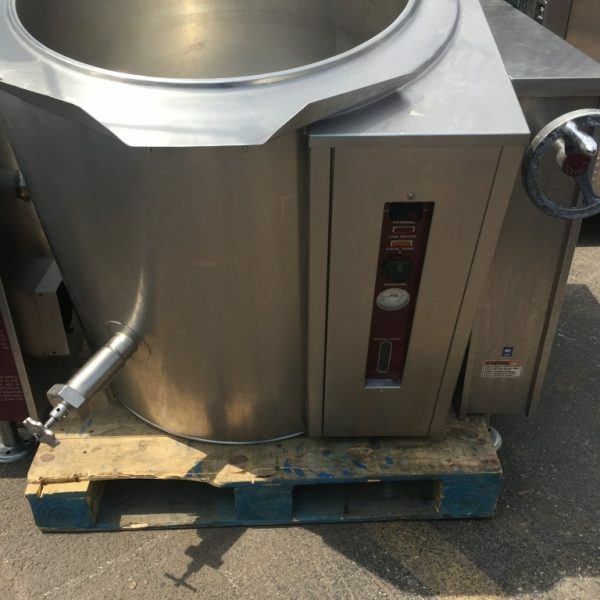 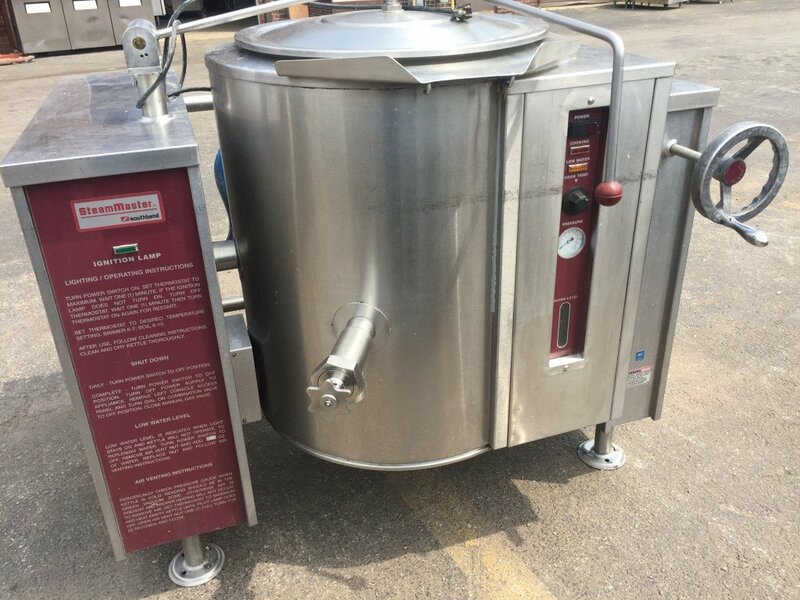 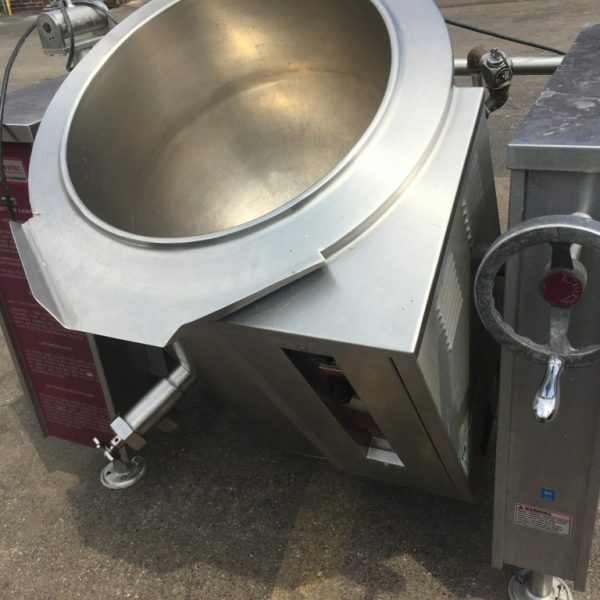 The hinged stainless cover helps save energy, Tilting mechanism allows the kettle to tilt a full 90 for complete emptying, Hemispheric kettle design provides even and consistent heat distribution, Low water cut-off valve, and indicator automatically turn off the steamer in an emergency for improved safety.